Protect your new investment with our Keep It Pedaling Protection Plan. It’s an easy and affordable way to pedal along with the peace of mind that your new bike is protected from unexpected breakdowns and failures during normal use. 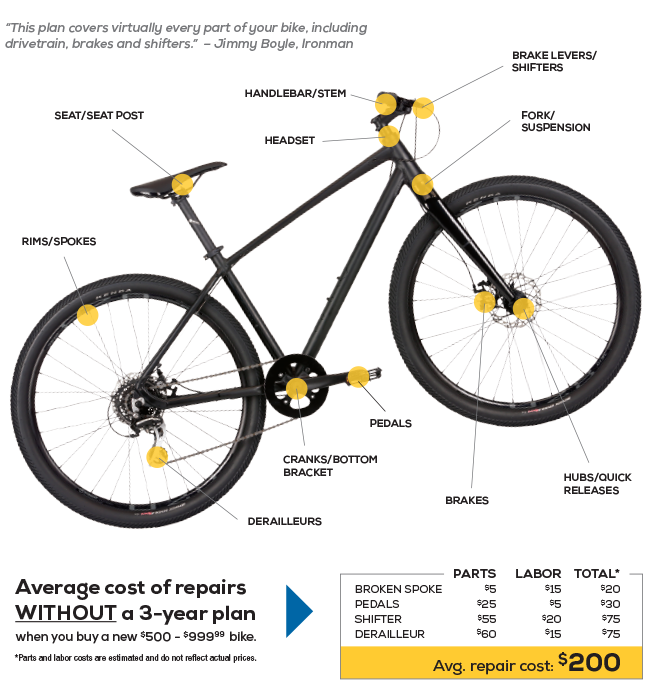 The plan covers almost the ENTIRE BIKE on any new bike purchased. It covers the repair or replacement of the broken parts and labor to install it at no additional costs.